In my last post I said I would tell you how to easily find leads for selling mobile services. Currently there are a couple of things that are very popular for generating leads for the offline world and that is the new Google My Places and Google’s Mobile Friendly penalty. In short, if your business is not claimed in ‘Google My Business’ it cannot appear in the ‘Google 3 pack’ of local search results. 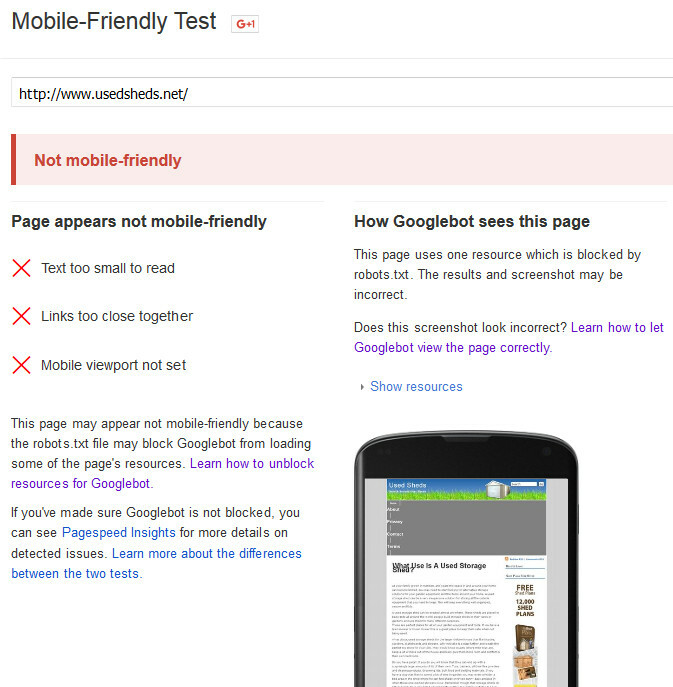 If a businesses web site does not pass the Google “mobile friendly “ test then it will be penalized and be pushed down the organic rankings. This is true for both offline and online businesses. So an easy ‘in’ with potential customers is is to identify either or both of the above and contact them with a good value proposition. You can use some specific search queries to finds these things out. 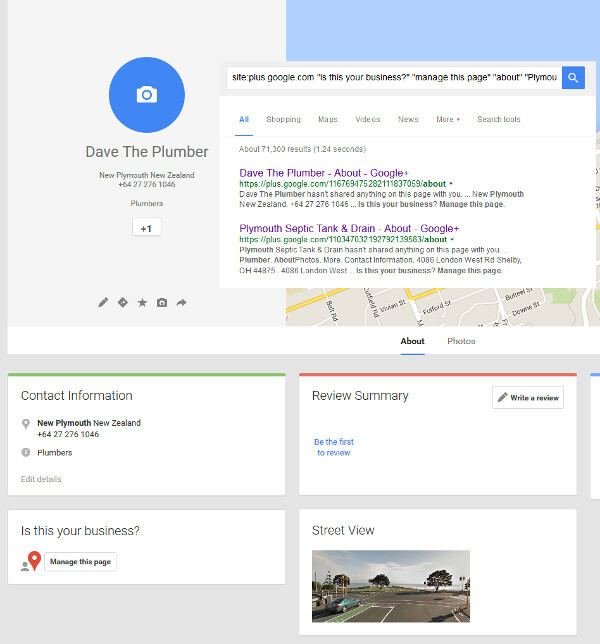 The first one to try is Google search that will identify any Google+ (Google My Business) listing that remains unclaimed. This has two opportunities. First it is a specific issue that needs addressing and can be used to approach the business. Secondly if they have not claimed that listing they are probably not an ‘internet savvy’ business and so likely to be a prime candidate for offering additional services. Of course you can change the business type and location to suit your own needs. This will return a list of unclaimed listing. View the listing for address and phone details of that business. Generally it won’t have an email or web site details so you may need to do a little Google searching to find those if they exist. Try searching on the full name or the address of the business. Generally that will pull up all the directories they are listed in and hopefully their website if they have one. Another way to find businesses (and generally this is better as it usually includes email and website information) is to use Yahoo Local. From here you access Yahoo local search directly. Just add in the search you want in the fields provided. This will list all those trades in that area with unclaimed listings including the full address and telephone number. Open up each one and it will generally give you the website and email address as well. Because most people use Google to find leads Yahoo is very underused and can be a gold mine. Especially as it gives you so much business detail. Of course like GMB these Yahoo Local listing need claiming as well! Is it fit for purpose? Does it pass the Google Mobile Friendly test? Just drop the Website URL of the business you want to test into the page and it will test and report on the website. This report can be used as an “in” to your prospective customer. So now you have your foot in the door you need a pretty amazing mobile service offer for your new customer. Tony, thank you for the informative post. 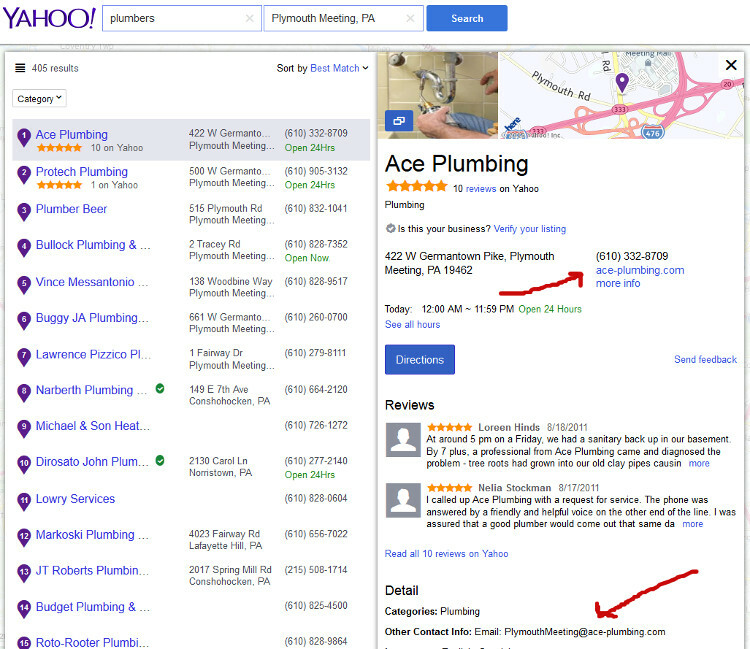 I used your ‘Plymouth Meeting’ Plumber example, but Messantonio Plumbing and Buggy Plumbing both show up in the 3-pack and the site:plus.google.com search indicates that their GMB pages are NOT claimed. It seems to me that perhaps it is a good “rule of thumb” but not a 100% certainty that if the GMB is not claimed it could, in certain instances, still show up in the 3-pack. You are correct. Some unverified listing do appear in the 3 pack. see this article to explain exactly what is going on in this area. In short Google are “unverifying” abandoned listings and are removing unverified listings. Although this seems to be an ongoing process not a sudden switch. So not being verified means you may not now and will not if you are removed from the GMB listing. 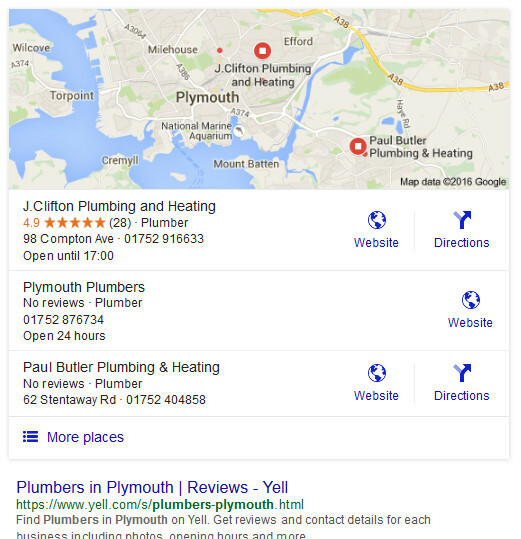 Being verified and building a good GMB page also likely to give you loads of ranking juice in the local searches. Therefore you are more likely to appear in the 3 pack. Another thing that is important but often overlooked is the conversion from viewing your listing to actually engage with the business. If your GMB is fully completed then when someone clicks on your local results they are shown your GMB page, complete with review ratings, images, and business details and anything else you may have added to your page. If your listing is unclaimed you get a simple NAP listing and the a list of alternative results below that. So with a good GMB listing you are significantly more likely to get a conversion from a search result. Thnaks for the heads up. Of course I try to keep everything top notch but sometimes things slip through. My focus is on getting accurate, up to date, useable tools and information out to my followers. But I will check it out. A Google search for unclaimed listings doesn’t work anymore. Probably in order to prevent abuse, I guess. Yes, it seems Google have finally closed this little ‘loophole’ for finding unclaimed businesses. Unforumately this means I cannot continue to offer this as a free service. If you need Local buisness leads and a Google My Buisness unclaimed listings finder then please take a look at our PRO softeware Lead Finder Local. Yiu acn nsee it in action at http://leadfinderlocal.com. Hi i got a question. What service should we offer to those unclaimed business listing’s owners? How much should we charge them? You can offer to claim the listing for them. It’s a simple and free process. You can do it for free to get your foot in the door or for a minimal price $25? just to cover your time. Or wrap it in a bigger package of other services like SEO or directory management etc. Can you provide any indication when you will reopen or alternate options please? I can see you have raised a ticket at the support desk. I will respond to the ticket with details later today. I am looking to purchase your lead finder local and see that I cannot for some reason. Can you tell me when it will be available? Or send me a link to purchase? Sorry Larry It is no currently open to new members.